All you do is share 5 photos which make you happy... it's as easy as that (and it doesn't even have to be 5, it can be 100 for all you like!) - anyone can join in and it can be photos of anything, I mean your pets, your friends, the beach, even those photos of Kim K! This photo was taken in Zante back in September 2012! 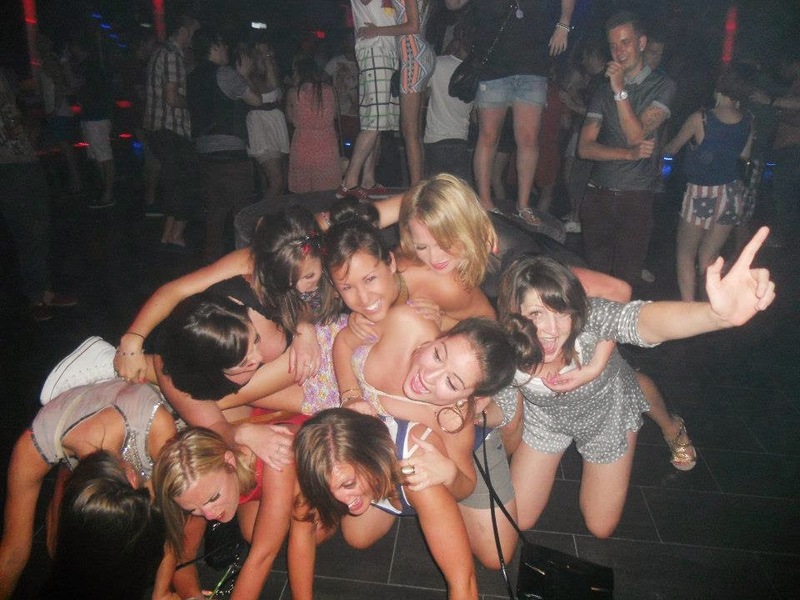 Me and my friends tend to get a little over excited when we are together and thought it was a fabulous idea to attempt a human pyramid on the middle of the dance floor.... I mean - why not? As you can see we didn't get very far - I love how happy we all look here, loving life! 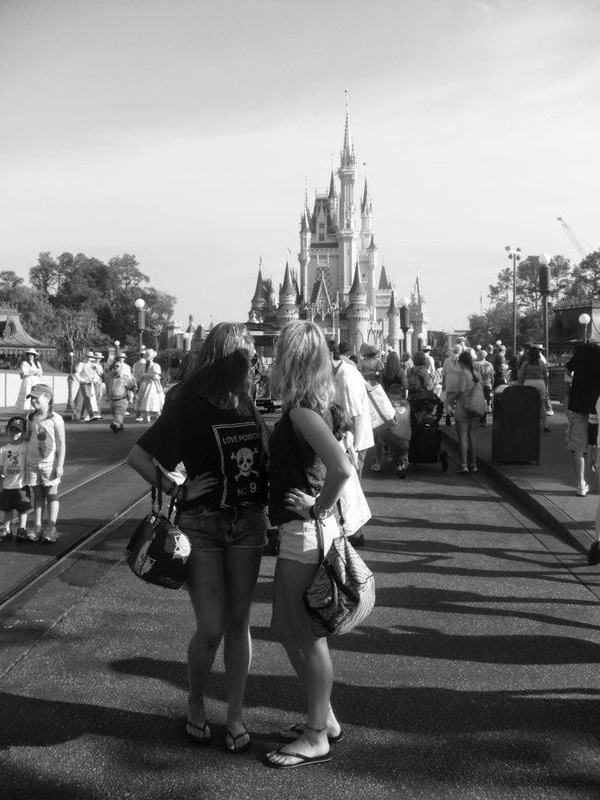 This photo was taken on the first day I ever went to the Magic Kingdom in Orlando. Going to Disneyworld had always been a dream of mine - literally on the top of bucket list so to be able to go with my best friend on our trip of a lifetime was just incredible! This photo was actually taken by accident we were trying to get a nice one of us smiling down Main Street and it just so happened we had turned round at the same time as this snap was taken! It always makes me happy, I'm so grateful that I was able to go back here this year aswell, it's my happy place! Another Florida photo but this time with the boyf! 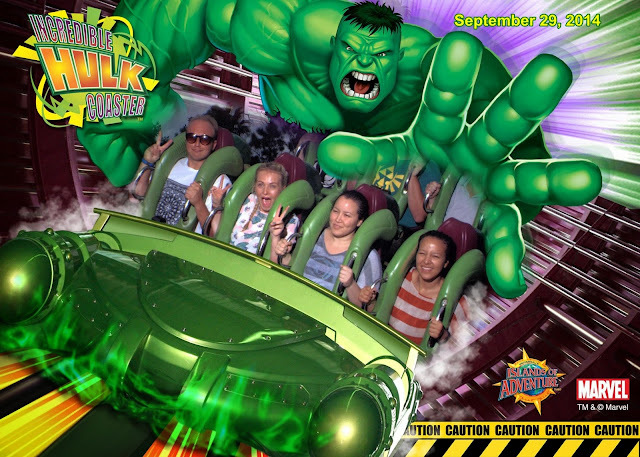 I always wanted to go on the Hulk ride at Universal but the first time I went I ever got the chance so this year when we went I knew it was one of the first things I wanted to do! We went on this rid so many times and I find this photo hilarious! I asked Joe to hold onto my sunglasses while we were on it and when we went to see the photo I saw this hahaha! This photo reminds me of our holiday and how much fun we had at Universal - I wish I could go back! 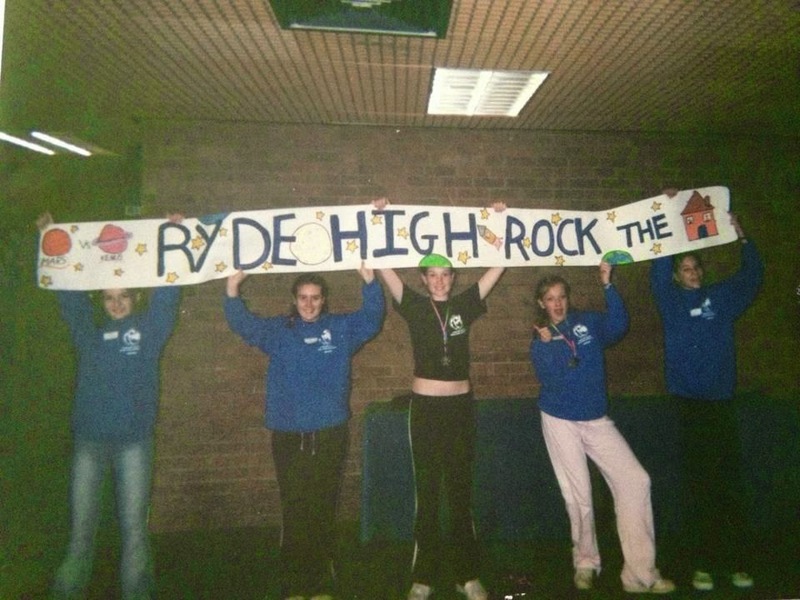 Rock Challenge/Global Rock was a HUGE part of my life between 2003-2008! They are the best teenage memories I have, I literally couldn't imagine high school without it! Dancing with your best friends for fun and creating dances and performances that won competitions both in this country and in Europe - this experience was incredible! There were so many photos I got of chosen, this one is from 2004 when I was just 14 at the southern final in Bournemouth. Everyone knows I'm a massive Taylor Swift fan and I was lucky enough to go to The Red Tour at the O2 the week of my birthday this year! We were in the standing pits at the front which was insane - we were so close and I had the best night! This is one of the photos I took on my phone, I love that girl!